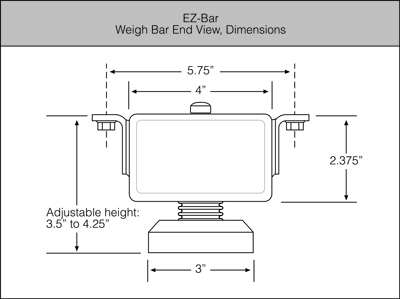 The EZ Load bars are a highly durable scale set designed with simplicity and portability in mind. In just a few minutes the entire system can be setup and ready to weigh. 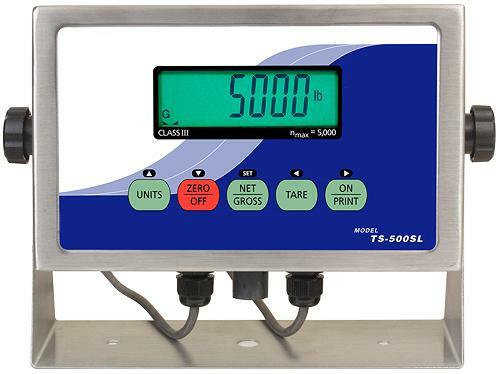 The standard system includes two weigh bars both with built in handles and 20' of indicator cable, quick disconnects, and a NEMA 4X stainless steel digital indicator with backlight. 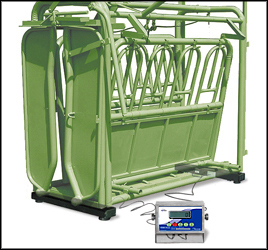 This fully portable system can be used in livestock weighing, under conveyors, under tanks, hoppers and many other applications. Standard capacity is 2,500 pounds per bar with a total system capacity of 5,000 lbs. Light Weight & Portable: Can be positioned to weigh easily, or store when not in use. Each Weigh Bar is fitted with an easy carry handle, this provides quick and easy setup and break down for total portability.